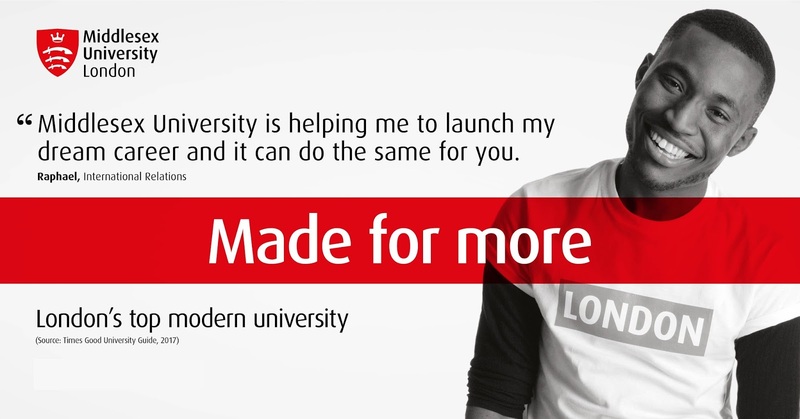 Apply for a Master’s degree at Middlesex University(London, Malta, Dubai, Mauritius) From $5000. Middlesex University has been educating students for almost 140 years. Since our foundation in London in 1878, the university has grown immensely and we now welcome students from over 145 different nationalities. In 2017 we were ranked among the world’s top 15 most international universities by the Times World University Rankings. This diversity allows our students to break down cultural boundaries and to experience different viewpoints; encouraging them to think differently. In addition to our London campus, we have campuses in Dubai, Malta and Mauritius from which you may have the opportunity to transfer to/from if you choose – a unique offering that is not common among many universities. These campuses are supported by our regional office network around the world, which are here to assist and advise you along your journey if you choose to join us. Across all of our campuses, our broad portfolio of industry relevant courses are taught by academics who draw on their own professional experience and employ practical teaching techniques. During your studies, you will use the latest equipment and software and will leave us feeling confident in what you have learned.